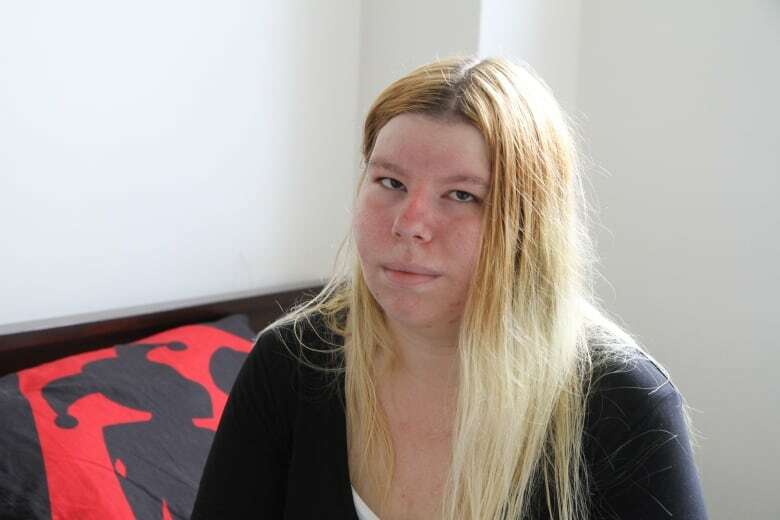 Harley Worden was able to get her own apartment in Hamilton with the basic income pilot project. She moved in April, but now doesn't know what to do since the province announced it would end. Her income doubled. She signed her first lease. She was a step closer to having her children live with her and getting her life on track. But now that the basic income pilot project has been cancelled, Harley Worden says she'll be back at square one. Last October, the 22-year-old from Hamilton received her acceptance letter into the basic income pilot project. It meant that she'd be receiving a guaranteed income through a three-year study. She went from getting $721 a month on Ontario Works (OW) to $1,400. Worden was finally able to sign her first independent lease, and to have a place of her own for her and her three children. "I was ecstatic. I actually cried tears of joy. It seemed that something was finally going right for me," Worden said. "It meant a lot to me." She was one of about 1,000 Hamiltonians in the study also taking place in Thunder Bay, Lindsay, Brantford and Brant County. Altogether, 4,000 Ontarians were part of the project. Of those, half got the basic income every month. The other half were compensated for filling out surveys for the research project. Then last week, Doug Ford's government announced the program would be scrapped. Having just signed a one-year lease in April for her downtown apartment, the announcement has put Worden into a panic. Her landlord won't let her out of the lease, she says. Now she's "at a loss." "I signed the lease based on the income that I was going to be provided for three years." The rent in her new place is $950 per a month. On OW, she received $721 a month — the maximum she could get. The $1,400 allowed Worden to cover rent, groceries, a bus pass, and even a little to put away, she says. "I'm starting back at square one, moving back with family as I'm not going to be able to pay my rent now. My rent's more than OW gives out. I'm not really quite sure what I'm supposed to be doing." Worden says OW has told her that she can re-apply once she provides them with an official letter saying she's out of the pilot project. "Now I'm stuck worse off than I was. They're not willing to let me out of the lease. I can't make the rent payments." 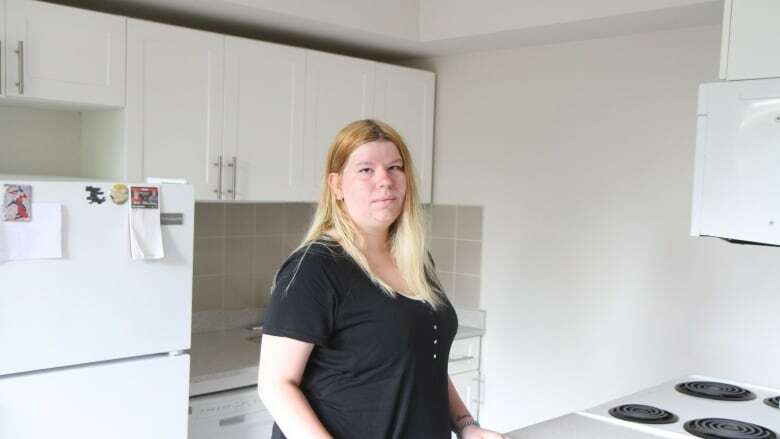 Having her own apartment was more than independence for Worden. It meant there'd be room for her three children to live with her. She was also looking at going to school to study business and writing. "I had been working so hard to essentially get here and be able to obtain my kids, go back to school," she said. "I was looking at doing a co-op placement and then going off to college at McMaster. Now it's all kind of all crashing down around me." "I based everything around the pilot project." Worden says she wants the province to know her story. That's why she's attending a Queen's Park protest today with other advocates of the program. "I'm hoping that they'll see that cancelling the program so abruptly is not going to help anybody. That there other people sitting in my situation, who have built their lives around this. And that taking it away is not only putting us worse off than we were before, but setting us back now." "We've built our lives around this. We've planned each and every move that we can do around this, and you yanking it out from under us isn't helping." At Queen's Park, Tom Cooper, director of the Hamilton Roundtable for Poverty Reduction, said "people are reeling and they're scared." "This was a completely irresponsible decision to announce the cut of this program without any plan on how it was going to end," said Cooper. Last week, Social Services Minister Lisa MacLeod said the province is planning improvements to social assistance over the next 100 days. The basic income program, she said, is too expensive, and "clearly not the answer for Ontario families." "We need to do more than just help people remain mired in poverty," MacLeod said. "We're going to hit the pause button on the previous government's patchwork system and replace it with a system that helps stabilize people in need and support them to succeed." Those at Queen's Park speaking to media noted that only baseline data from participants had been collected, that it was too early for follow ups and too early to know the impact of the project. Sheila Regehr, chair of the Basic Income Canada Network, said that the program needs to run a while before follow-up surveys can be done. "So it's too early for those follow up surveys to have gone out. Therefore, there can be no evidence whatsoever to base a decision on to decide that this program isn't working. I mean, that's just nonsense." "You don't make decisions based on the first few months. It's ludicrous."